I just finished this invite for a really sweet couple in Michigan. The colors she chose are awesome. REd, soft carmel brown, & aqua. 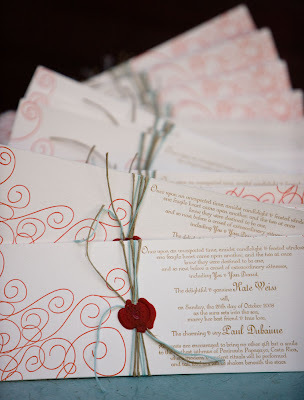 It is for a october wedding in Costa Rica. 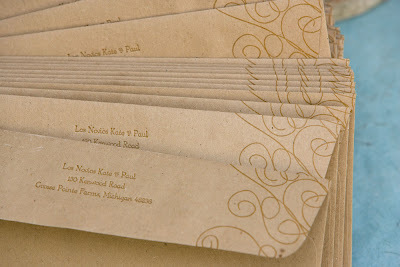 Very similar to my own invites, I have to just love it!! I guess my swirls are very popular. 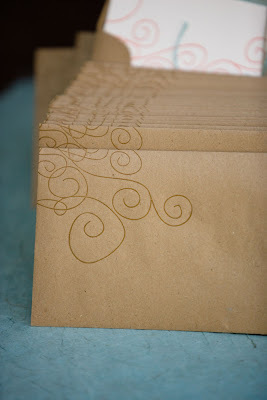 It makes it fun when I get to put my own doodle for many years into a wedding invite! Enjoy. 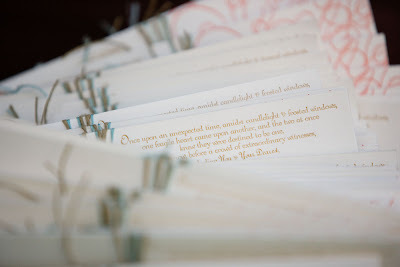 These are letterpresses with a tear off rsvp card underneath. the wax seal is a mendi flower. It is tied with twine and embroidery string.